Do you know you can double the life of your computer with the right maintenance and cleaning? Our hardware cleaning service will make your computer look new again inside and out. It will also allow the cooling fans to properly dissipate the heat generated when you run your computer. 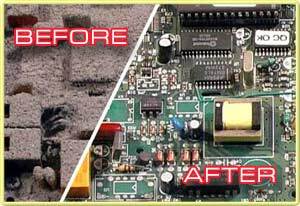 By cleaning out the accumulated dust, it will eliminate the static buildup which causes random crashes and errors. The cleaning service actually pays for itself by extending the life of the computer! We specialize in ON SITE computer repairs! We are happy to come to your home or business and perform a diagnosis of your troubled equipment. Once the diagnosis is complete we can order your parts and return to finish the repairs or we can take your equipment to our shop for repairs. Once the repairs are complete we will install your repaired equipment at no additional cost to you if you choose our shop rates. 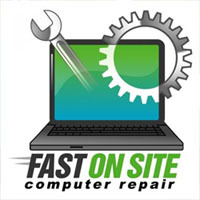 If you opt to have all work done on site, we can begin fixing the problem immediately, but since most problems require specific parts that work with your computer configuration we will need to return after all parts are available. If you need help setting up a server, network (wired & wireless), printer, workstation, laptop, tablet, or just need help figuring out your new technology, schedule an appointment so we can make technolgy work for you! If you think your computer has a virus, spyware, trojan, worm, adware, rootkit or any other malware, contact us to schedule an appointment. 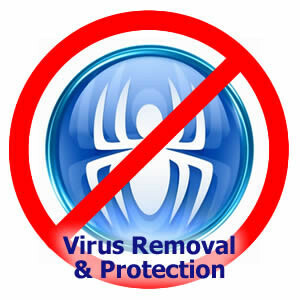 We can usually be on site at your business or home within a few hours.Our services include diagnosing the suspected virus or spyware, removing all parasites from your system, and securing your system from future attacks by verifying the correct setup and operation of your security settings and antivirus software. If you can still connect to the internet and need immediate assistance we can even fix your problem remotely. The help you need is just a phone call away. The longer you wait to clean and secure your computer, the more information a hacker will gain from your computer files.